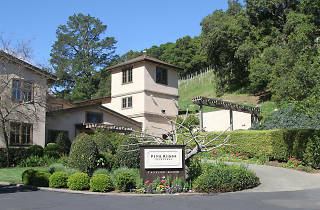 Pine Ridge Vineyards technically includes five different appellations—Stags Leap District, Rutherford, Oakville, Carneros and Howell Mountain, with Stags Leap serving as the designated tasting room location. 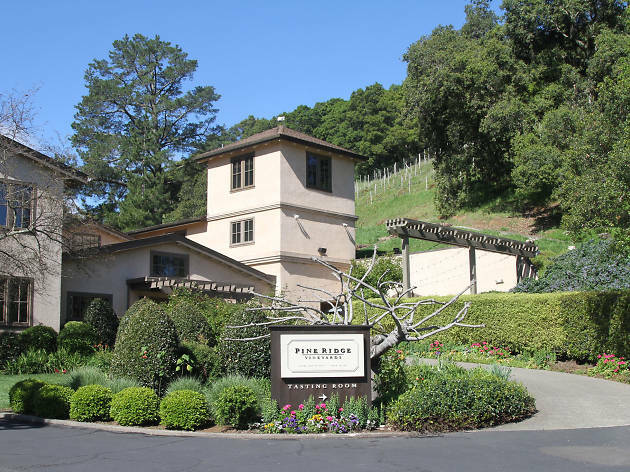 Drive up to the property and you'll encounter a beautiful fig tree, an affectionate cat named Olivia, and knowledgeable staff intent on educating visitors about the winery's varietals. Cabernet sauvignon is the main focus, and you can taste the subtle differences in appellations during Pine Ridge's Estate Tasting, along with a chardonnay or petit verdot here and there. The small but beautiful surrounds show off picturesque vineyards and gardens, but if you want more of an in-depth look, splurge on the cave tour, which concludes with a seated wine and cheese pairing. How to visit: Pine Ridge is open seven days a week, from 10:30am to 4:30pm on Sunday through Thursday and 10am to 5pm on Friday and Saturday. A five-wine flight tasting costs $40; a 5x5 tasting includes small bites paired with a wine flight. No reservations required.